Last month, I wrote a fair bit about Robert E. Howard, his view of women and the thin line between chivalric Romanticism and sexism. This was inspired, in part, by a story that centered upon the character of the pirate queen Belit without really involving her directly in the action. 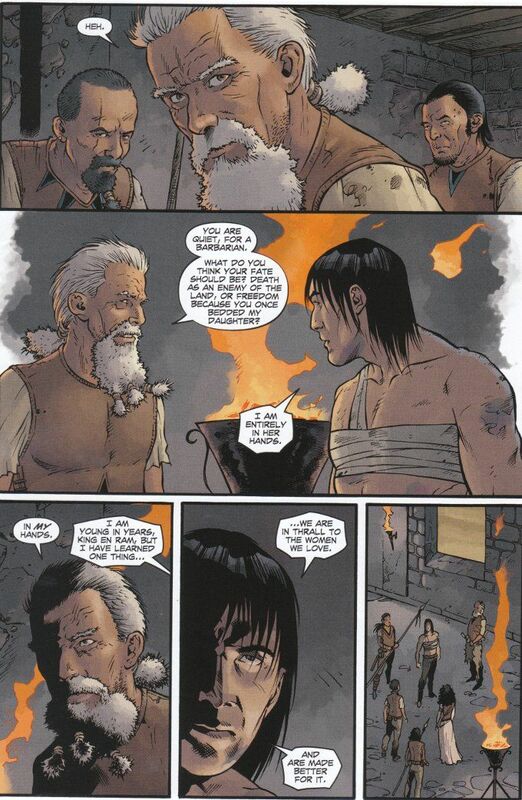 Conan The Barbarian #15 is a similar beast, despite Belit being directly involved in the action of the story. Brian Wood tells a tale of two romances in this issue. These romances are, perhaps, not worthy of the name by modern terms and the characters involved lack the words to describe their emotions in those terms. Hyboria is not a land that inspires sweet words of woo but it is a classically Romantic place, where passions run wild and the power of nature and natural things is greater than any civilization. It is a place where love is forged amid lust when a pirate queen watches a barbarian rogue fight her men to a stand-still single-handed. It is where love blossoms where a slavegirl is purchased by a warlord's son with more gold than sense, to be freed rather than to be used. 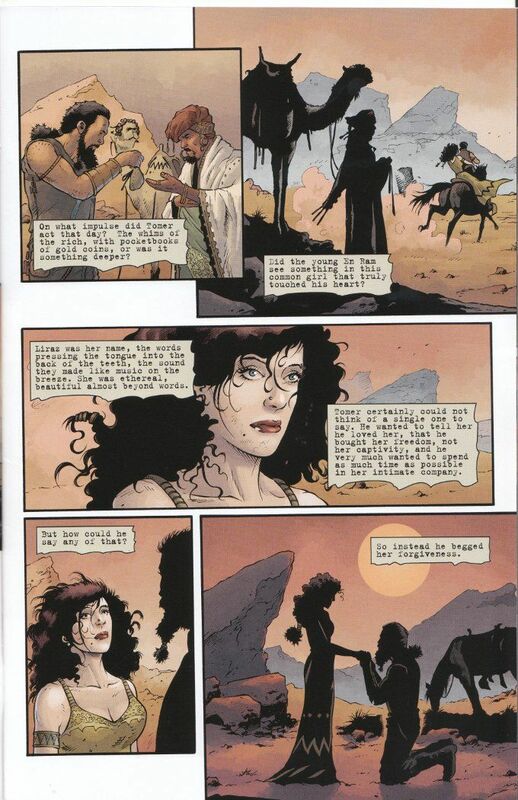 This later story, we find out later, is the origin of Belit's parents but it offers echos of Conan and Belit's own romance later on, when Conan meets Belit's father and discovers why Belit has returned to the Shemite fortress where she was born. I've never thought of Conan as a romantic hero, in either sense of the word, but Wood's dialogue firmly establishes Conan as both. All of this is lovingly illustrated with equal boldness by Andrea Mutti, Pierluigi Baldassini and Dave Stewart. Mutti's pencils are detailed without being dirty and Baldassini's inks offer just the right amount of definition and shade. Stewart's color palette, while being largely a collection of greys and browns, proves quite rich and visually inspiring in spite of that. This book is as visually amazing as it is well-written and if you aren't reading it now, you should start immediately.